Voted BEST PIZZA in Chesterton and Porter County in the Northern Indiana Pizza Wars challenge that is sponsored by the Porter County tourism bureau. At Duneland Pizza, we offer a casual dining experience with an indoor dining room and a summer outdoor deck under a canopy of trees. 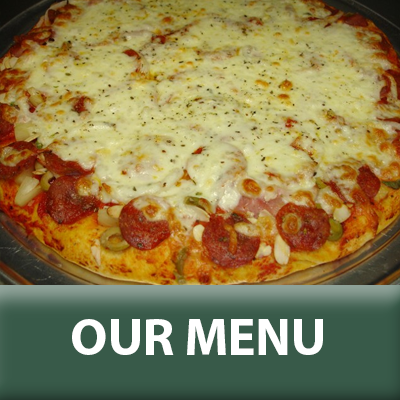 Our menu includes a selection of appetizers, fresh salads, sandwiches, and, of course, pizza. Check out our gallery for a look at our pizza selections, staff, and restaurant decor. Enjoy the best tasting pizza in all of Northwest Indiana at Duneland Pizza - a local family owned and operated pizzeria in Chesterton, Indiana. With more than 46 years of serving fresh pizza, sandwiches, salads, and more, you're sure to be satisfied at Duneland Pizza. To watch a Youtube video review of our pizzeria please go Here and get a look at a little of what our pizzeria has to offer. 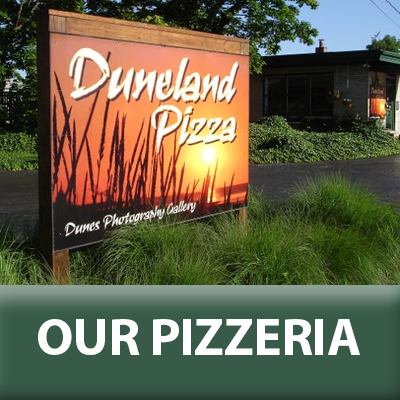 Duneland Pizza offers a friendly hometown feel and is conveniently located in downtown Chesterton - the Gateway to the Indiana Dunes - and is only 10 minutes from the famous "singing sands" beaches of Lake Michigan. Our area includes the Indiana Dunes State Park and the Indiana Dunes National Park which attracts millions of visitors every year. Come by soon to experience all we have to offer. Thank you for your interest! Please fill out the form, along with your email and a detailed message, to request more information about any of our services. A confirmation will appear after you click "Submit." We look forward to hearing from you. We look forward to hearing from you. Contact us by phone, email, or the form below today! Friday – Saturday - Sunday: 4:00 p.m. – 8:30 p.m.